‘Thin lips’ is the term for lips that are naturally thin or have lost volume. Lips can lose their volume for many reasons, though it most often happens due to age. Thin lips are one of several key facial signs of aging that contribute to a less youthful appearance, but DermMedica can help. Our mission is to help you maintain or restore your true, natural look. Read on to learn more about the common causes of thin lips, and the treatments that are available to address it. If you’re ready to talk about what our treatments can do for you, schedule a consultation, here. What Are the Causes of Thin Lips? The most common cause of thin lips is the breakdown of collagen and elastin in the lips due to age and sun exposure. The upper lip commonly experiences the most change, lengthening over time. Other factors that contribute to thin lips are simply heredity, like family genetics. You may have simply been born with lips that didn’t match the appearance you wanted to express to the world. While this should not cause any functional problems it can be a cosmetic nuisance as fuller lips are more in fashion these days. Thin lips may also have environmental factors that you can control with the right habits. Lips can retain volume longer into your life if you make sure that you avoid habits like smoking and going out without sun protection for your lips. Behaviors like pursing and puckering can also cause permanent problems, and should be avoided. The key to adding volume to lips to make them look fuller is more of an art than science. Just putting filler into a lip without concern for the aesthetic usually results in a bad or awkward result that is out there for all to see and snicker about. The people you see with overfilled, duck-lips are the poor patients that have had a bad job but been told it’s normal or looks good. Patients get their lips over-filled for all sorts of reasons but no-matter what the reason, the result is usually not good if too much filler is added. Just like everyone’s personality is different, so should the approach to lip filling. Dr. Crippen makes sure that he adds just enough volume to his patient’s lips to make them look naturally fuller without the overdone look look that everyone can spot a block away. 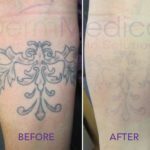 Dr. Crippen wants your results to look natural and undetectable by everyone so you can feel confident about your new look that everyone will notice but no-one will be able to put their finger on what you had done. Isn’t that the best treatment result? We think so. 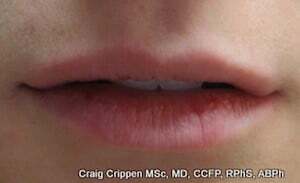 Here is an example of some natural looking lips by Dr. Crippen. I Have Very Thin Lips, What Are My Options? The best option is to use fillers to augment the volume in your lips. What Is the Best Procedure for Enhancing Thin Lips? Injection of an HA (hyaluronic acid) filler into the lips is an excellent option with great long term results. Can I Get Big Lips Through Injections? Absolutely, however most patients prefer a more subtle look that enhances their volume without looking over-done. This is the goal for most of our patients and what Dr. Crippen prefers. 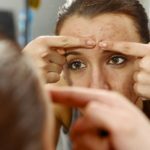 Average Number of Injections for Botox in Thin Lips? Botox is not use to increase lip volume, HA fillers are used for this purpose. Botox is used mostly to reduce those “smokers lines” some people have above and below the lip lines for upper and lower lips respectively. Top Lip Too Thin When I Smile, Should I Get Lip Injections? Yes and Maybe. Everyone’s lip thins out when they smile so even with filler in your lips, you will have a thinner upper lip compared to when your lips are in a neutral position. Filler will however give them some more volume overall when you smile. Lip augmentation costs anywhere from $250 to $750 depending on the type and volume of filler used. Most patients are somewhere between this number for their first visit and then we decide from there whether more is needed. I Have Very Small Lips, and I Want to Know the Best Method to Getting Lips as Large as Kylie Jenner's? Most patients do not wants very large lips, however for those that do, we recommend getting volumized one step at a time to allow the lips to adapt to the new volume and look more natural. This is something Dr. Crippen can discuss with you at your appointment. We treat patients of all ages with lip filler. The best results for lip filler are attained with patients who are younger and have normal to fuller lips to begin with. Patients with very thin lips need to be treated slowly over time to achieve a more natural look. Can Fat Transfer Make my Thin Lips Big and Pouty? Yes it can, however this procedure is irreversible and prone to complications. We usually recommend HA fillers as they are much more flexible in terms of placement and much less prone to serious complications like fat transfer surgery. Also, if you don’t like the look after the fat transfer procedure, there is little that can be done. How Reversible Are Lip Implants? We never recommend lip implants precisely because they are permanent and not amenable to any kind of modifications. This is a highly undesirable procedure.